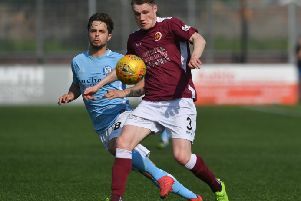 Stenhousemuir have been drawn against Scottish Premiership opposition after the draw for the fourth round of the Scottish Cup was made on Saturday. The Warriors face a difficult challenge when they play Aberdeen at Pittodrie on the weekend of January 19. The Dons play in the Betfred Cup final against Celtic next week. They last reached the Scottish Cup final in 2017 when they were beaten by Celtic. Stenny sealed their place in the fourth round after dumping local rivals Falkirk out of the Cup after a 4-2 win. Stenhousemuir have only ever played the Dons once and won 2-0 in a Scottish Cup tie in February 1995. Midfielder Seb Ross, on loan from Aberdeen, won't be able to feature in the match for the Warriors as he is cup-tied.